As I took over the Board Chair position in 2017, my focus was on continuing to advance this inclusive economic strategy. I cannot think of a more mission-oriented organization to partner with than the LAEDC on such an important endeavor. During the 2017 Eddy Awards, I spoke about three Los Angeles residents I had the pleasure of meeting as part of Kaiser Permanente’s effort to redevelop a portion of the Marlton Square site in Baldwin Hills Crenshaw for a new medical office building. The stories of these courageous and resilient men, who came back following years of incarceration and built careers in the construction industry, had inspired me so much that I felt it important to share their stories more broadly with our LAEDC community. The positive feedback I received solidified my long-held belief that the LAEDC, and all our partners, share my vision for an economic development approach that leaves no one behind. The LAEDC mission statement goes on to say that it “provides collaborative economic development leadership to…improve the health and wellbeing of our residents and communities and enable those residents to meet their basic human need for a job.” When Kaiser Permanente approached the LAEDC to participate in its partnership with Michael Porter’s Initiative for a Competitive Inner City, and nominate small businesses for the Inner City Capital Connections (ICCC) program, they stepped up immediately. As a matter of fact, the LAEDC’s small business referrals represented 20% of the program participants this past year. At a recent Board of Governors meeting, we heard from one of the program participants the LAEDC had nominated, Sunbox Market. Vanessa Ballesteros, CEO of Sunbox, spoke about the support she received from the LAEDC’s Business Assistance Program and the ICCC program that has allowed her to successfully grow her business. About 7,000 residents have jobs as a direct result of the LAEDC’s Business Assistance Program this year, and fingers crossed, many more to come if L.A. is selected as Amazon’s HQ2 – the bid proposal led by the LAEDC. We cannot fully express our gratitude to the many leaders, cities, and partners that collaborated with us so that the LAEDC could put forth a unified, single proposal. In 2017, LAEDC homed the Center for a Competitive Workforce (CCW), a regional project of the 19 L.A. region community colleges in the LA/OC Regional Consortium, the Center of Excellence for Labor Market Research at Mt. San Antonio College, the LAEDC and its Institute for Applied Economics, and the Los Angeles Area Chamber of Commerce. 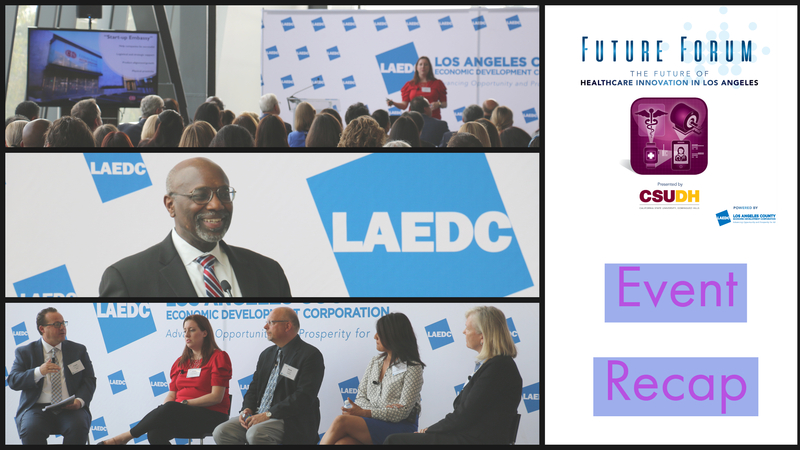 LAEDC is prioritizing workforce development at a time when the nature of work is changing. The region’s employers are facing skills gaps in some cases, and we need to make sure we are helping our residents fill those jobs, rather than businesses recruiting outside the state. 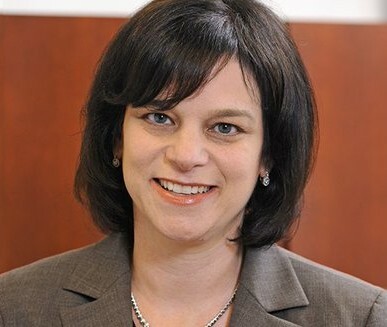 As part of our work in CCW, we are helping community colleges build better connections with industry to convey skills requirements to the deans who develop programs at the schools. This is aligned with California Community Colleges’ Strong Workforce / Doing What Matters initiative and we owe them thanks for their vision and support. The LAEDC is a remarkable mission-driven organization that brings the best of its skills, resources, and humanity to its work. Under the expert leadership of Bill Allen and his team, in collaboration with the LAEDC Executive Committee, Board of Governors and so many of you, we have an organization that is more than promotional, more than event management, more than just a network. The LAEDC accomplishes concrete and meaningful outcomes that sustains and grows our incredible region. What an honor it’s been to be a part of this dynamic and forward-thinking organization. As the second woman in 40+ years to serve as the LAEDC Board Chair, I feel so privileged to have been part of this important work, and look forward to even greater achievements under the leadership of Eric Rowen in the 2018-2019 term, and Dianne Harrison in 2019-2020. Thank you for your support, your engagement, and for helping to make an exciting and vibrant future for Los Angeles County, and all the amazing and diverse people who live here. Let us not forget that our collective success will be measured by the lives we impact, one person and one family at a time. Let’s continue this work – and do well, by doing good.